This blog is PR Friendly. This blog accepts PR Samples,Sponsored Posts, Gifts and Items sent for featuring. Any items that have been gifted, sent or given to me at a press event or by a PR of the brand from a PR company in consideration for a product review, will be marked as PR Sample or with an (*) asterix. I always mention which products I did not pay for. I will always give my 100% honest opinion on any product that I feature. If I believe a product is not worth, I won’t feature it or I will write why it has disappointed me (at editor’s discretion). 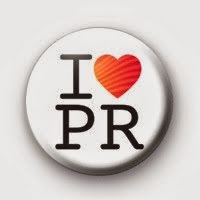 I will never be biased or swayed by any PR relationship. I strongly believe honesty is always the best policy. I am never paid to review certain items, however if I have written a sponsored post, I will clearly state this at the end of the page. Some links featured in blog posts may be affiliated. Readers, if you have any suggestions or comments on my blog then I’d love to hear from you and I will get back to you ASAP. Constructive Feedback is welcome. Feel free to call or mail me for blog related concerns and beauty queries. If any Brands or PR companies would like to discuss an advertising opportunity, please don’t hesitate to contact me. I offer sponsored posts, product reviews and adverts for a fee. If you are interested in advertising your business or website, on my blog, please contact me via email and I will provide you with the price. We are open to all unique opportunities. Mail us for more details and pricing !! Kindly note that we do not offer free publishing of any kind on this website. Mail us for more details on sponsored posts and paid collaborations. All content on this blog unless otherwise stated is copyrighted to the owner Iswarya and copying without prior permission is prohibited.